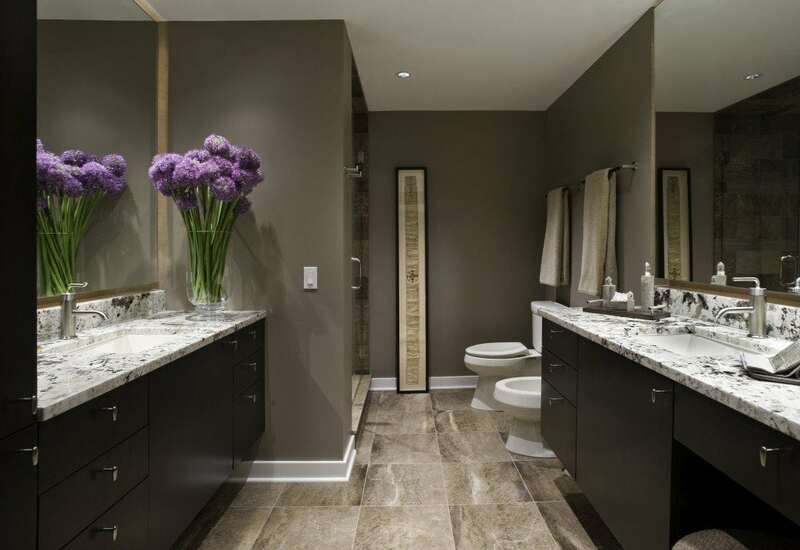 As there is no one-size-fits-all bathroom remodeling project, so there is no ultimate price tag for such undertaking. You may feel slightly surprised, hearing that your neighbor paid mere $2,500 for thorough makeover and the same company charged you double or triple that price. However, even similar bathrooms may differ widely as far as their features (fixtures, floors, backsplashes and alike) are concerned. Add any unusual developments and /or highly customized elements to the mix and the final bill will be bumped up even further. Fortunately, determining bathroom remodeling cost isn’t a rocket science. Particularly if you take into account crucial factors that influence the estimation. Of course, it’s still guesswork to a degree but it’ll give you a notion of required budget. Yet, when you decide on the details of your bathroom makeover, you had better contact with local home remodeling contractors for an accurate quote. But let’s backtrack a bit and see how you can figure out the cost by yourself. While determining final cost of your bathroom remodeling in Chicago, homeowners often take into account just two most obvious factors, which are materials and labor. However, there is much more to it, namely:Bathroom size. When the whole interior have just 40 sq. ft., you usually pay substantially less for tiles, panels, paint and alike than when you redecorate the place that has 80 or 100 sq. ft. Of course, this distinction doesn’t always apply for products from vastly different price ranges (think ceramic tiles vs. stone or maple vs. oak floors). This factor has two aspects. One regards remodeling bathroom without any major changes to the existing shape. Still, there are interiors that pose a challenge for contractors to achieve desired results, which translates into higher labor price. Situation looks slightly different, if you want to introduce serious adjustments to the layout. Demolishing and rebuilding walls, replacing doors and windows but also changes to electricity and plumbing require not only additional investments but also assistance of experts in a given area. While remodeling bathroom, you may want to consider whether some elements of original décor can be recycled for the new design. That way, you not only save some bucks but also give things new life. If that’s not an option and you decide on thorough replacement, think on the level of your pieces customization as it influences the final price as much, if not more, as materials they’re made of. Tailored furnishings are definitely more expensive than their ready-made counterpart and sometimes just overkill. Considering all the above variables, you may roughly estimate the lowest Chicago bathroom remodeling cost to be as little as $1,800. Yet on average, you’ll pay anywhere from $5,819 to $9,374 and if you want to splurge be ready to spend even $24,000 or more (as in ‘the sky is the limit’). Keep in mind though that each project is different, so for the exact quote, you should head to your local bathroom remodeling contractors.